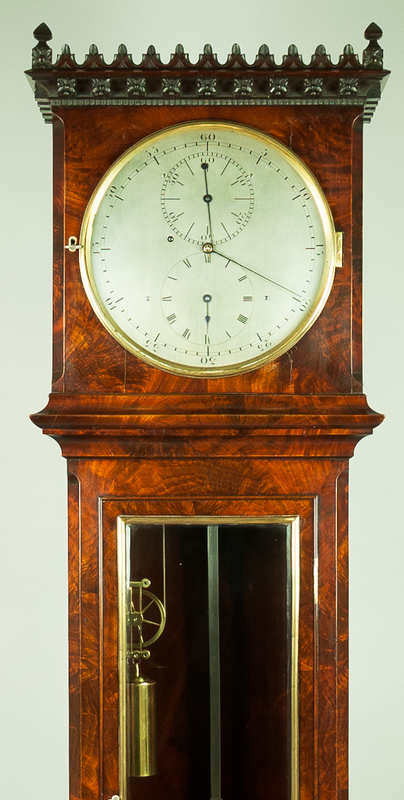 The extremely high quality solid mahogany case veneered in beautifully figured curled mahogany. The hood with carved gothic gallery with flowerheads, beneath cast brass bezel with silvered sight ring and brass dial mask. The glazed trunk door bound with a brass moulding, flanked by canted corners. 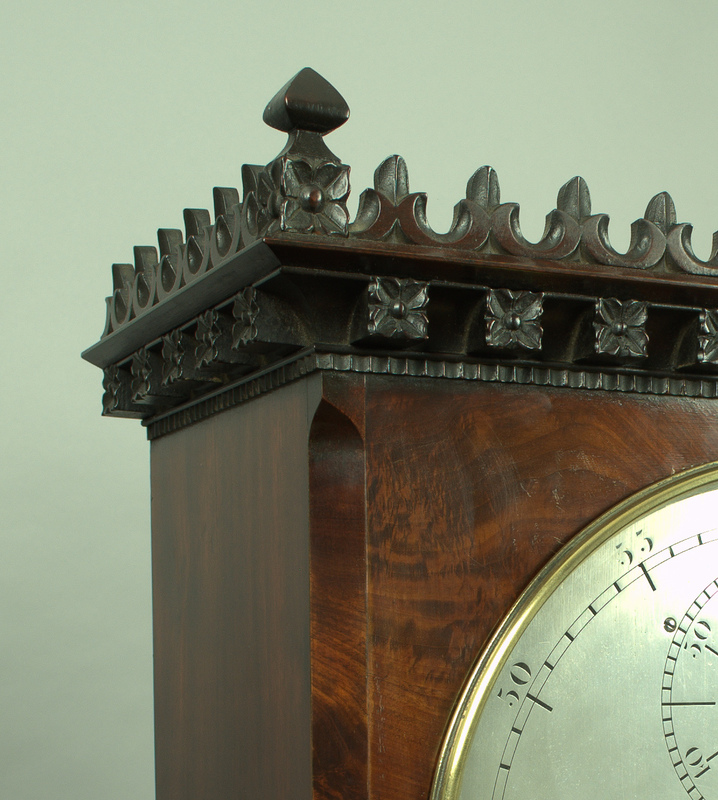 The richly figured box base with moulded fielded panel, surmounted on the original ogee bracket feet. The flame mahogany backboard with engraved silvered brass beat scale mounted on ornate brass extensions. 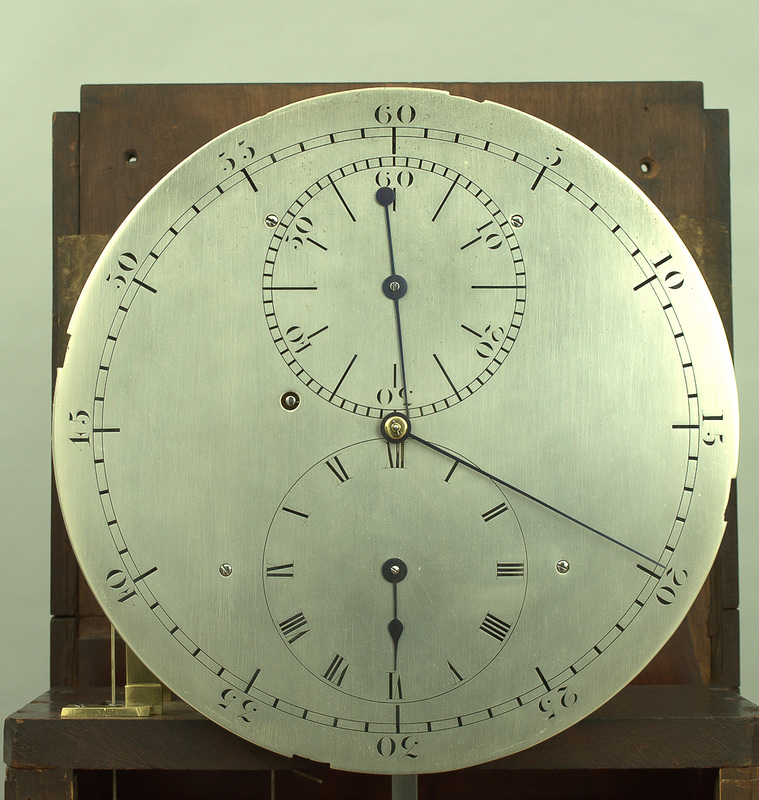 The high quality substantial movement of eight day duration with thick shaped plates united by five large turned pillars. 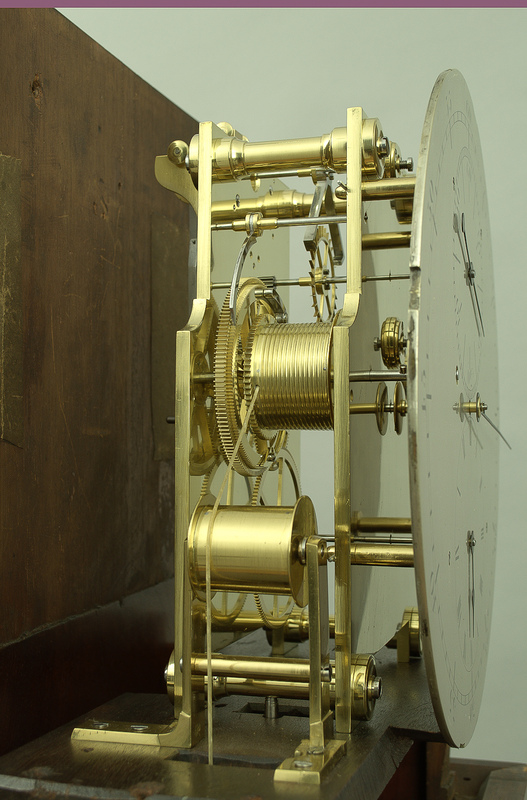 Fine six spoke wheelwork and high count twelve leaf pinions, adjustable endstops, Harrison’s maintaining power, jewelled deadbeat escapement, beat setting adjustment to the crutch and to the pendulum. 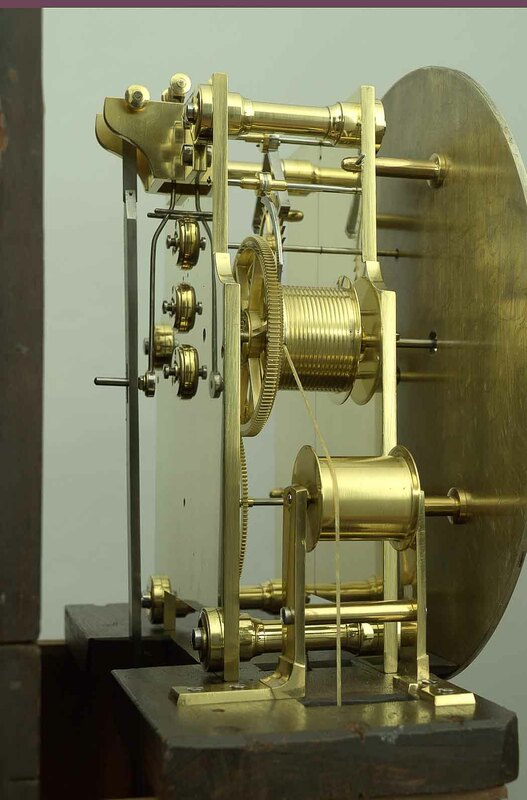 Polished brass with weight with step moulded top, ornate fretted and spoked pulley. 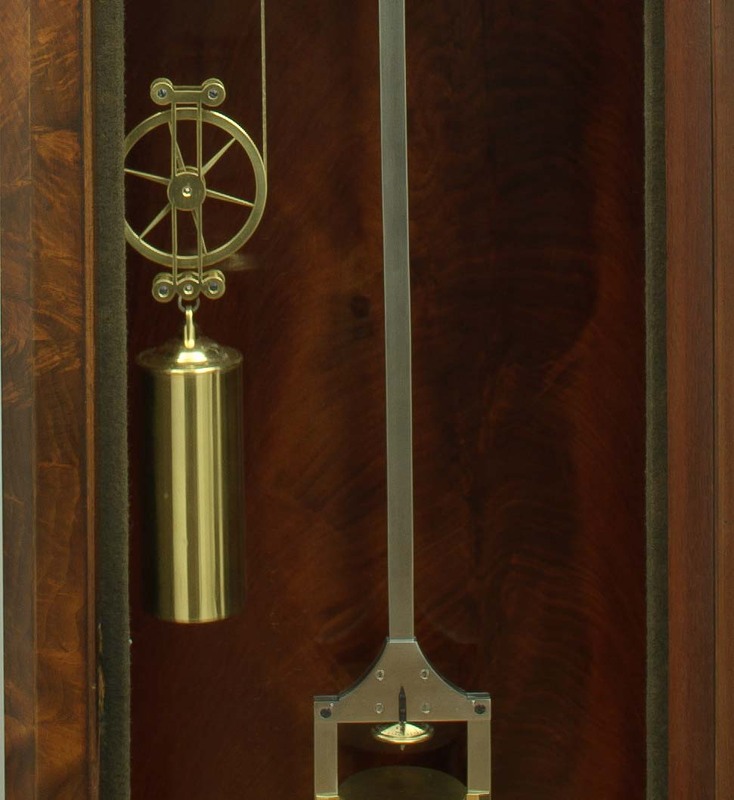 The finely constructed compensated pendulum manufactured in steel, with polished brass and steel framed pendulum bob with glass jar filled with mercury. knurled and calibrated rating nut with blued steel pointer to the beat scale.